The vast majority of consumers (from both parties) support net neutrality. This has been supported repeatedly not only by independent polls, but even the cable industry's own surveys. Yet for most of the last decade, ISP lobbyists and think tankers have managed to frame the subject in the media as a partisan one -- quite successfully using the country's deep political divisions to fuel disagreement and stall real progress. In reality, our collective disdain for growing monopolies like Comcast (and the high prices and abysmal customer service that result) tends to burn through partisan myopia. As a result, most people realize that in the absence of real competition you need some basic rules of the road to protect consumers and Comcast competitors alike. "The FCC has now entered a “Sunshine” period for docket 17-108, during which it will not consider new comments. 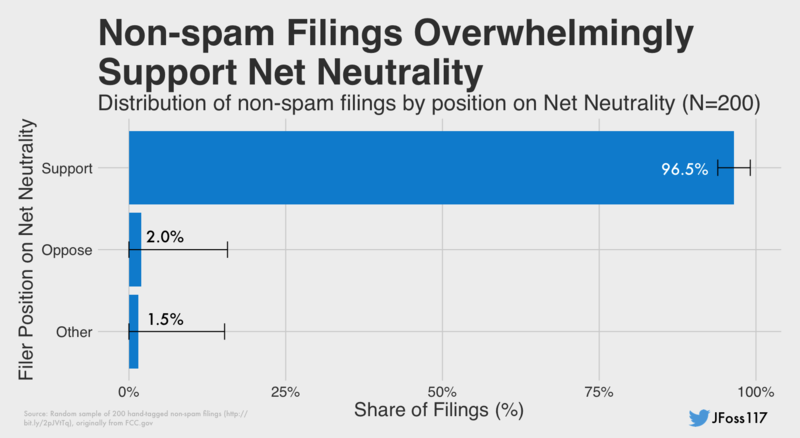 Given the magnitude of filings (~695,000 if you exclude the anti-NN spam) and the balance of opinion expressed (97% in favor of net neutrality or 59% if you include the spam), this analysis suggests that the FCC should reconsider its position on net neutrality during this period of reflection." While FCC boss Ajit Pai has breathlessly claimed he'll be reflecting very deeply on the public's input, there's every indication he intends to ignore the public and push forward with dismantling the rules anyway. 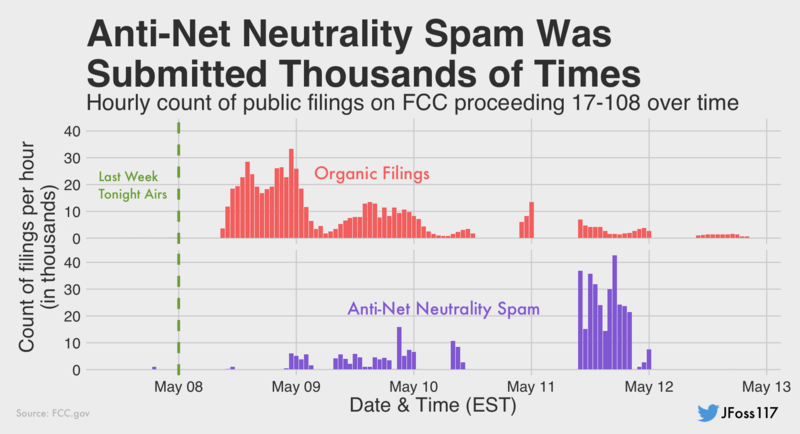 In fact, instead of seriously contemplating the public's support for the rules, the FCC spent a large amount of the sunshine period trying to portray net neutrality supporters as unhinged, unreasonable and racist. And when the FCC votes on Thursday to begin rolling back the rules (with a final killing vote likely later this year), you can be damn sure that Pai will lecture everyone on how he's gutting oversight of some of the least competitive and least liked companies in America -- for the immense benefit of the American people.